I have tried hard to stay off JRL for a while. Too much to do and too much to travel. It does not mean that I was not involved in various Russia related situations. Syria was/is one of them. These comments were inspired by a particular episode of Season 5 of the Games of Thrones where the dowager queen fells victim to religious fanatics she earlier unleashed on her daughter-in-law to contain the latter’s influence over the King. While there is nothing to suggest that this storyline was inspired by the history of Islamic radicalism and its use by a variety of external actors (the US, House of Daud, several Emirs of Qatar and, most recently, President Erdogan and his AKP to name but a few), for someone who is involved in the Middle East for almost 30 years, the parallel is staggering. Initially these external actors were successful in using what is now Isis/DAESH/IS ideology (a peculiar mix of Deobandi/Hanafi Islam, Pustunwali and a quest for Arab unity and Reneissance) to create a fighting force which helped to contain (and eventually ruin) the USSR. But as in the Games of Thrones the force then turned on its sponsors. The first culmination of this was the 9/11 attacks. From what followed after it is clear that the true scale of support for this “Islamic Protestantism” was completely and utterly lost on its initial sponsors, much like Queen Sersy did not expect such a vast crowd of followers and sympathisers to turn up for her punishment walk. We do not know yet, what Queen Sersy will do in Season 6 with the fanatics. What we do know is that DAESH/Al Qaeda sponsors after the initial defeat of what they thought was ALL Islamic radical fighters in Afghanistan in 2002/03 continued to support “moderate” Islamists to achieve a variety of their foreign policy goals. At the same time they were surprised and taken aback when these forces attacked them (Boston bombings and a less known 2006 attack on the vast petrochemical complex Abqaiq in Saudi Arabia come to mind). And still they continued their attempts to find “moderate” elements and rely on them. It is evident that like Queen Sersy they have failed to fully comprehend the depth and scale of the drive to reform Sunni Islam and “restore its historic place stolen by kaffirs” (a 2005 Al Zawahiri fatwa “On war on infidels”). This is very obvious from the current attempts to create a presentable group of Syrian opposition figures capable of negotiating with the Alawaite, primarily secular regime, of the Assads. To anyone who has a first hand experience of Syrian conflict these attempts are nothing more than trying to find a mass murderer with a CNN friendly face among death row inmates. It was clear at the outset of the planning of the Russian adventure in Syria way back in 2013 that the Alawaite regime would not negotiate with anyone who by then was pillaging their country for almost 2 years. That leaves a question of what were the original goals of the Russian operation in Syria (delayed by almost 2 years due to the Ukranian events). It is clear that irrespective of the intensity of air campaign IS/Al Qaeda forces could only be pushed out of Syrian (and Iraqi) territory by a ground operation which the Alawaite controlled forces could not bring to a victory without either a staunch support from the population of IS controlled territories or a coalition with an external ground force. Given almost universal isolation of the Assad regime in the region it was evident even in the late spring/early summer of 2013 that Syria will have difficulties in finding allies ready able and willing to contribute an effective ground force. Much debated around that time strategy of cutting of DAESH forces from their supply lines into Turkey was very risky because of the Turkish fallout with the Assads and its support/commercial dealings with DAESH. However, having eliminated a threat of immediate US ground operation against Syrian government forces in the autumn of 2013, to secure its own interests in the region (and in the absence of any realistic secular alternative to Assad) Russia needed to ensure that Syrian Government is strong enough to contain DAESH expansion. This was a strategy similar to the Soviet strategy in Afghanistan in the 80s. However Russia, unlike the USSR was not prepared to put its forces on the ground for many reasons, including, but not limited to the fact that the percentage of Muslims in the Russian armed forces increased in comparison with the Soviet army and the impact of a mass disertion a la 80s would have been much stronger than “in the good old days”. Use of smart weapons (which many in the West believed Russia did not have) allows to minimise civilian casualties and achieve the same effect on DAESH forces and infrastructure as a much more indiscriminate allied WWII bomber offensive did. The original thinking behind this principal goal was that by the time DAESH are demoralised and deprived of weapons and infrastructure Russian diplomacy would be able to coral enough international support (particularly with the background of weak and indecisive Obama Administration) to put boots on the ground and finish DAESH off. That would have been an achievable target, but for two intervening factors: (a) Russian involvement in the Ukrainian crisis; and (b) long time support of radical Sunni Islamist forces by almost everyone who would be a worthy member of a ground coalition. While the former is bound to play a diminishing role for a variety of reasons outside of these comments the latter is likely to be a major stumbling block for a long time and for a great variety of reasons. Again these vary from the hope to create an Afghanistan MkII for the Russians to almost pathological personal hatred of the Assads and misguided belief in the ability to control DAESH through financial dealings and technical assistance. It must be noted here that the absolute majority of forces fighting the Assads have either pledged their allegiance to DAESH or coordinate their operations with it (Free Syrian Army, Jabhat Al-Nusra, Jaysh al-Muhajirin wa Ansaruhu, Ahrar al-Sham, the Jesus Son of Mary Battalions, the Furqan Brigades, and the Brigades and Battalions of the Beloved Mustafa, to name the principal ones). Representatives of some of these have been included in the Saudi list of “moderate opposition”. The only moderation I could notice was that these groups do not shoot videos of their ritual killings and do not post them on the Internet. I have some very graphic photos of atrocities Hitler only dreamed of committed by the Free Syrian Army and JMWA (the latter being DAESH equivalent of special forces) taken by me personally. It is painstakingly obvious that only a resounding success on the ground (like taking Aleppo) would persuade the Assads and DAESH (and its satellites) current backers to sit down for talks. However, if and when that happens and some form of a compromise is reached on Syria, that in itself is unlikely to eliminate DAESH and/or its ideology and attempts to create a World Caliphate. DAESH is not your usual 1970-style Cocaine eyed idealistic terrorist whose principal aim was to get noticed. Neither it is a revolutionary for hire like Che Gevara or Ilyich Ramirez Sanchez. DAESH represents a (probably semi conscious) alternative Islam shared by millions of followers and taught in over 10,000 madrasa (previously known as Deobandi schools of Islam) in Pakistan, Afghanistan, Iraq, Yemen and Somali. It is clear that a lot of these believers are ready to fight and some are also willing to die for their religion. No air and no ground operation in one state is capable of defeating this worldview. DAESH understands this perfectly well and is already preparing to relocate to Lybia and Yemen. And continue fighting. May be under a different name – it had sooooo many since 1980s…. Where does this leave Russia and its current air campaign? It is likely to last long enough to persuade the principal combatants to start talks in Geneva. Which will (like all earlier Geneva talks) last for several years. The Russians might semi withdraw from the air campaign (and train enough Syrian AF pilots to continue the campaign at the same level) after 24/36 months, NATO might rule in Turkey and prevent it from provoking the Russians to bomb Turkish forces in Syria. 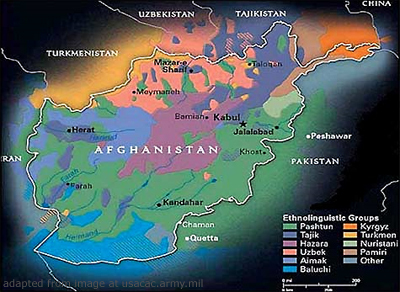 There are a number of other “mights” which if and when happen will move this war torn region closer to peace. But the road to even a ceasefire will be very long. Depending on the end results of the Geneva talks DAESH ideology might become even stronger and by claiming victory (irrespective of whether one would be actually achieved) raise even more popular support. Which means that many more Russian Muslims will feel compelled to fight and die for the new “true” islam. Which is exactly the result the Russians are desperate to avoid. It seems that on the facts and in the long run Russian operation in Syria is a brilliant tactical move but is likely to become a long term strategic disaster with unknown and unpredictable consequences. Not only for Russia but also for several “Queens Sersies” who nourished and used radical Islam for their own goals for so long. Beware – the monster is out of the cage.